Dr. Schmidt teaching technique to his colleagues at 2012 AVCA Annual Conference. A 1967 graduate from National College of Chiropractic in Lombard, Illinois, Dr. Schmidt’s predominately visceral practice addresses a variety of acute and chronic conditions which can include blood chemistry and therapeutic nutrition. He holds certifications in Dr. Pettibon’s Spinal Biomechanics Institute, Spinal Impairment and Disability rating, and Certification in Animal Chiropractic from the American Veterinary Chiropractic Association. He also holds two Certifications in Acupuncture and one Fellowship from the International Academy of Medical Acupuncture. Dr. Schmidt is the current President of the Arkansas Chiropractic Society, was a two term a Delegate to the Arkansas Chiropractic Society. He was Chairman of the Practice Standards Committee on the Board of Directors of the American Veterinary Chiropractic Association (AVCA), on the AVCA committee for NOCA accreditation and is an examiner for the AVCA certification examination. He also was liaison from the Board for the Certification Commission. Dr. Schmidt is a member of the Council for Chiropractic Hospital Convalescent Care as well as a member of the American Chiropractic Associations’ Council on Diagnosis and Internal Disorders and Council on Diagnostic Imaging. Dr. Schmidt is a Research participant in the International Metabolic Research and Development Project. Correlating Blood Morphology and Functional Imbalances from Bradford Research Institute. He also holds a Fellowship in the International Academy of Medical Acupuncture. 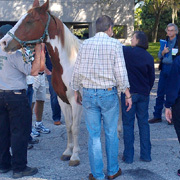 Dr. Schmidt has been adjusting animals for 25 years with the majority of his practice being thoroughbreds. 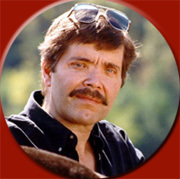 He has worked on a variety of animals including a rodeo bulls, cats, dogs, as well as farm and exotic animals. Dr. Schmidt has four books published on animal chiropractic “Instructions on How to Adjust Animal Sternums, the Costo-Sternal and Costo-Chondral Articulations” and “An Addendum to the Sternum and Rib Adjustment Techniques, Animal Chiropractic: The Visual Workbook and Advanced Equine Chiropractic: More than Diagnostic Acupuncture. Dr. Schmidt has been a guest lecturer at Options for Animals Diplomate Program in Hillsdale, Illinois. Lectured at the Oklahoma Horsemen Association and the Horseman’s meeting in Lexington, Kentucky, AVCA annual conferences in 2007, 2008, 2009, 2010, 2011, 2012, Veterinary Technicians of Oklahoma, Continuing Education to examiners at the Animal Chiropractic Certification Commission certification exams. He and his wife Kristen live on a mountaintop near Hot Springs National Park, Arkansas.